She was the first woman President of Indian Sugar Mills Association (ISMA) (2004-2005). She was the President of the South Indian Sugar Mills Association (SISMA), (1995-1997) & (2007-2009), the premier association of sugar factories in South India. She has contributed to the sugar industry’s growth and government policies by being part of the Confederation of Indian Industry. As the Vice Chairperson of the National Committee on Sugar, she has pushed for wide sweeping reforms in the heavily controlled industry. A commerce graduate and an alumnus of the Owner President Management Programme of the Harvard University, USA. Her dynamic role in industry has been recognized in her selection as one of the hundred “Global Leaders for Tomorrow” for 1996 by the World Economic Forum, Geneva. She was awarded the Eisenhower fellowship in 2000. She has been conferred with Padmashri Award in the field of Trade and Industry by the Government of India in the year 2013. 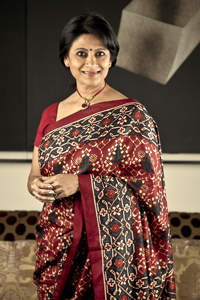 Under her leadership, the Rajshree group of companies has grown to include Travel, Natural Health Care, biotechnology and education in the field of visual art and design. He has been associated with RSCL since its inception in 1987. With a Master’s Degree in Business Management and a Master’s Degree in English Literature, he has spearheaded the project team in Rajshree Sugars & Chemicals Limited progressing from sugar to alcohol, from organic fertilizer to cogeneration of power and bio-products. He has vast experience in coordinating and managing diverse activities to execute Greenfield projects, from strategic and financial planning to technical and commercial operations. He has played a key role in the acquisition of sugar factories and integrating management cultures and operations. Under his dynamic leadership RSCL became the first integrated sugar complex in India to be certified as an ISO 9001: 2000 company for all its products ranging from sugar, alcohol, power, organic manure and bio-products and the first sugar company in India to register a co-generation power plant as a Clean Development Mechanism with the UNFCCC and trade in Carbon Credits. He has extensive global experience in conducting ground studies to assess economic and commercial potential of agro-businesses. 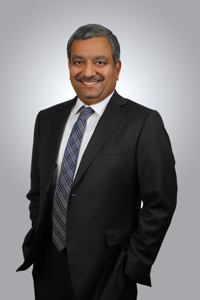 He is an active member of industry associations both at the state and national levels. 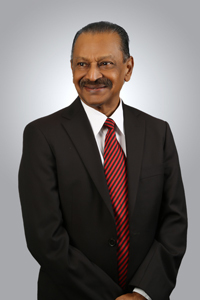 He has had a brief stint as Head, Faculty of Management Studies of the PSG College of Arts & Science, Coimbatore where he had undertaken a special assignment in designing and implementing a three year undergraduate management programme to groom future Chief Executive Officers of Family Owned Businesses. With a keen interest in education he is on the Governing Board, Academic Councils and Boards of Studies of several colleges and management institutes. Master of Business Administration and hails from the PSG family of Coimbatore. Shri.Karthikeyan is a keen motor sports enthusiast and is a Director of the Federation of Motor Sports Club of India (P) Ltd. He is also Managing Director of Sri Karthikeya Spinning & Weaving Mills Pvt. Ltd. and various other companies. An Engineering graduate in textile technology and holds post graduate diploma in business management from the University of Madras. 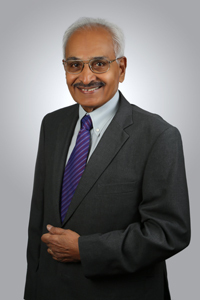 He has more than four decades of experience in various companies in the field of engineering and business operations. 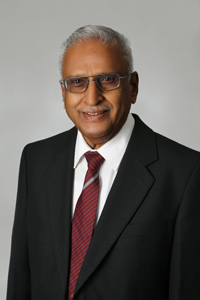 He was the President in Lakshmi Electrical Drives Limited from 1998 till January 2013. He has wide expertise in the fields of production, marketing, engineering, operations and administration. He also holds Directorship and membership in various other companies. 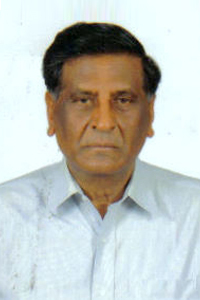 Mr.G.S.V.Subba Rao, B.Com, MA, CAIIB (Certified Association of Indian Institute of Bankers), retired as Deputy General Manager of the State Bank of India after working in various capacities in the Bank. He has wide experience in handling various Corporate clients during his employment in the Bank. He has wide expertise in the Banking sector, credit appraisal, finance and general administration. He holds no Directorship / membership of committees in other Companies. He is the Chairman of Audit Committee of the company. A Doctorate in Agriculture with specialization in crop physiology, he has vast experience in sugarcane varietal improvement. Dr.Naidu headed the prestigious Sugarcane Breeding Institute of Indian Council of Agricultural Research (ICAR) situated atCoimbatore. In his long association of over a decade with this institute, he has pioneered research for many new varieties of sugarcane. He has traveled widely in South & North America, Africa and Asia in various capacities and positions offering consultancy and advisory services with regard to sugarcane breeding & culture. Some of his achievements include the release of improved sugarcane varieties to suit various agro-climatic zones, working out selection indices to develop sugarcane varieties resistant to moisture stress, establishment of four sugarcane research centres & sugarcane breeding institute, bio-technology, bio-control and seed technology laboratories and organisation of sugarcane seed programmes in tropical zones. He pioneered the transfer of technology program to improve sugarcane production in several states of India and trained development workers for a P.G. Program in association with Tamilnadu Agricultural University. He has also published about 49 research papers, 35 technical papers, 20 popular articles, published one book and 24 bulletins in his subject. 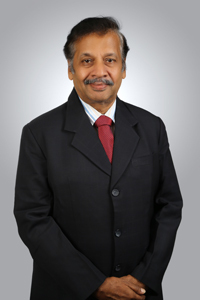 He has been elected as a Fellow of the National Academy of Agriculture Sciences, India. He has been actively involved in various scientific bodies like the Germ plasm Committee of the International Society of Sugarcane Technologists. He also served as Vice President of the Sugarcane Technologists Association of India and Editor of Indian Sugar Crops Journal. 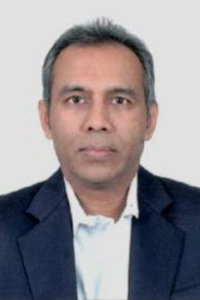 Mr.Sheilendra Bhansali, born on 4th July 1965, graduated in Commerce from the PSG College of Arts and Science in 1985 and qualified as a Chartered Accountant in 1987. 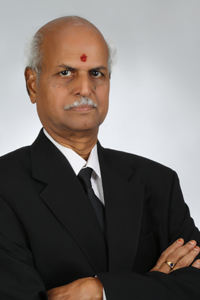 He is a partner of M/s.KUMBHAT & CO., Chartered Accountants, with offices at Chennai, Coimbatore, Bangalore and Mumbai. Mr.Sheilendra specializes in internal audits, management consulting and financial planning. He is a frequent speaker at various educational institutions on topics related to financial planning. Keenly interested in quizzing, he was the President of the Quiz Foundation, Coimbatore and is Vice President of Coimbatore Quiz Circle and has conducted over 300 quizzes so far including inter-school, inter-collegiate, corporate and national open quizzes. Mr.Sheilendra Bhansali was also on the Board of Studies of the School of Management of Karunya University for two years. Currently he is on the Board of Coimbatore Enterprises & Holdings Ltd (erstwhile Coimbatore Stock Exchange), Bhansali Securities Private Limited and Ishita Advisory Services Private Limited. He is also a Trustee of the Ajit Singhvi Education and Training Trust. A past member of Coimbatore Metropolitan Round Table 62, he is currently a member of the Rotary Club of Coimbatore Metropolis. Completed his doctorate in Engineering (Ph. D) from Michigan State University, USA. He is a civil and structural engineer with interests in software development and fund management and Automotive Industry. He worked for Ford Motor Company in USA for 36 years in various management positions. He was in charge of CAE (Computer Aided Engineering) which reduced lead time of 72 months and 500 prototypes to 30 months with less number of Proto types. He holds directorships in L.S. Property Developers P Ltd and E.S.B. Technologies P Ltd.
A non-resident Indian based in Singapore with interests in shipping, travel and real estate. He is a director of companies such as Abdeen UK Limited, London, Far Eastern Services Pte. Ltd. Singapore, Straitship Services Pte Ltd. Singapore, Abdeen Trading Pte. Ltd. Singapore and various other companies.